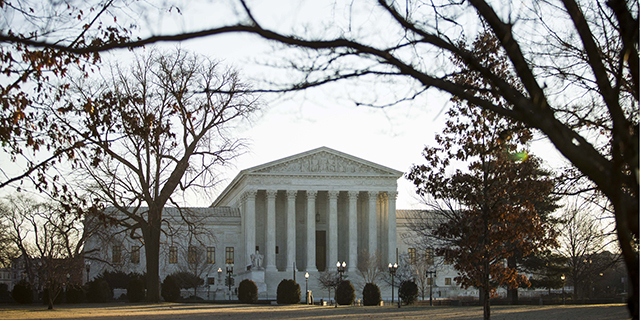 Often, the U.S. Supreme Court considers only one religion-related case each year. But 2015 could shape up to be a particularly active and influential year when it comes to religious liberties issues. Last week, the Supreme Court handed down an important decision expanding the religious liberty rights of prisoners. But it’s just the first of three religion-related cases that the justices could weigh in on before the term ends this summer. Religion and Prison: In the case just decided, Holt v. Hobbs, a unanimous Supreme Court ruled that prison officials in Arkansas had violated the constitutional rights of a Muslim inmate when they prohibited him from growing a short (half-inch) beard. The court said that reasons given by officials to justify their no-beards policy – including a concern that inmates could hide contraband in their facial hair – weren’t sufficient. The ruling leaves state officials with a clear obligation to accommodate inmates’ religious liberty rights, unless they can show that doing so interferes with the effective administration of the prison. Religion and Employment: The justices now move to a case involving religion in the workplace. Abercrombie & Fitch v. Equal Employment Opportunity Commission (EEOC) centers on the clothing retailer’s policy of prohibiting employees from wearing hats or other head gear. This policy led to Abercrombie’s refusal to hire a Muslim woman, Samantha Elauf, because she wears a headscarf, or hijab. Abercrombie argues that during her job interview, Elauf never explicitly said she needed to wear the hijab for religious reasons, and that the company should not be required to intuit her religious needs. The EEOC (representing Elauf) counters that a person’s religious liberty rights don’t disappear simply because he or she neglects to assert them. The case, which will be argued on Feb. 25, offers the court a clear opportunity to set guidelines on how much employers need to accommodate employees’ religious practices. Religion and Employers: The religious rights of employers themselves may also return to the docket. Last year, in Burwell v. Hobby Lobby, the court ruled that owners of closely held, for-profit businesses do not need to provide their employees with free contraceptive services – as mandated by the Affordable Care Act (ACA) – if doing so would violate the employers’ religious beliefs. This time around, the court is being asked to determine the obligations of religiously affiliated nonprofits, such as hospitals and schools. Under ACA regulations, houses of worship are exempt from the mandate, but religiously affiliated organizations that are engaged in social welfare services, education or health care are treated differently. These organizations must request to be exempted and must provide the government with the name of their insurance provider. The government then requires the insurance company to create a separate policy and to pay for contraceptive services for employees who want them. Some religious nonprofits oppose this arrangement, arguing that even providing the government with the name of their insurance company makes them complicit in providing contraceptive services. The government maintains that requiring a nonprofit to fill out a form and provide basic information in no way burdens that organization’s religious liberty rights. Lower federal courts have ruled both ways on this issue, making it more likely that the Supreme Court will eventually step in and settle the matter. The immediate and pressing question, however, is whether the justices will accept a case now so that they can hand down a decision before their term ends in June or early July.